Bisnar Chase – one of the premier personal injury law firms in Southern California has revealed an expansion to its roster of attorneys. 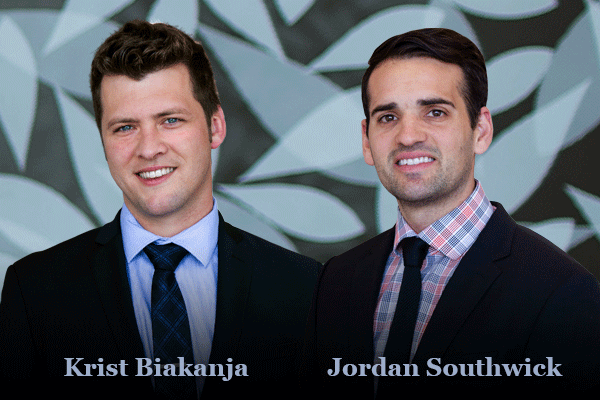 Jordan Southwick and Krist Biakanja have joined the firm, and the skilled pair are expected to add value to an already stellar team of trial lawyers. NEWPORT BEACH, Calif. - Jan. 24, 2019 - PRLog -- Adding the new attorneys will enable Bisnar Chase to provide high-quality representation to even more clients throughout California. The talented duo both passed the California Bar in 2018 and are now intent on helping Bisnar Chase clients battle for justice while ensuring that wrongdoers are held accountable for their actions. Orange County native Krist Biakanja gained his BA in Political Science at California State University Long Beach, before earning his Juris Doctorate and LL.M. masters degree from the University of Washington School of Law. A young but gifted attorney, Krist has substantial legal experience having worked with the Los Angeles County District Attorney's Office. While there, he handled preliminary hearings and worked on two high-profile murder trials. He has also worked closely with the Immigrant Families Advocacy Program. Like Krist, Jordan Southwick was born and raised in Southern California. Jordan honed his legal skills and earned his degree at Chapman School of Law. He also worked with the Chapman Advanced Entertainment Law Clinic, supporting independent movie producers by securing the approvals needed for production to go ahead on their films. Jordan started his career at a sports agency, where he worked on the contract negotiations of NFL footballers and big-league baseball players from the MLB. But he decided to make the move to personal injury law, in a bid to make a more significant impact on the lives of others. Krist and Jordan both originally joined Bisnar Chase as law clerks, but have now been promoted to become associate attorneys at the firm. They will focus on personal injury cases, specifically those involving auto accidents, premises liability, and wrongful deaths. The duo is excited to join the Bisnar Chase team, and are eager to aid injury victims who need help in fighting for compensation and justice. Krist said: "I want to be able to support those people who have been hurt and need help, and ensure that those responsible are made accountable for their actions." Jordan echoed his sentiments and expressed his desire to fight for his clients. "I'm focused on helping those people who need it most," he said. "Some of our clients have been seriously hurt through the negligence, carelessness, or the actions of others, but might not know where to turn, or have the means to fight it. "Those are the people we need to focus on. It is important to me that they get the representation they need and the justice that they deserve." Managing partner and trial lawyer Brian Chase says the duo are of exceptional talent and he is excited to see how they grow. "Krist and Jordan showed great talent while working for the firm as law clerks. Their impressive skills and tenacity will be of great value to our team of successful trial lawyers". Bisnar Chase represents victims injured by defective products and by acts of negligence. The firm has been featured on a number of popular media outlets including Newsweek, Fox, NBC, and ABC and is known for its passionate pursuit of results for their clients. Since 1978, Bisnar Chase has recovered hundreds of millions of dollars for victims and their families. For more information, please call 800-561-4887 or visit http://www.BestAttorney.com for a free consultation. We are located at 1301 Dove St. #120, Newport Beach, CA 92660.